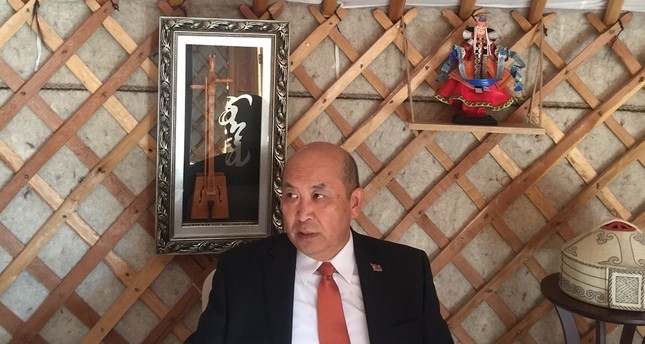 AKIPRESS.COM - Mongolia's Ambassador to Turkey Ravdan Bold said Mongolia understands Turkey's concerns on FETÖ-affiliated schools and all five schools' administration will be eventually transferred to the Mongolian Ministry of Education. Relations between Mongolia and Turkey were strained in July after a high-level Gülenist Terrorist Group (FETÖ) member in Mongolia was not extradited to Turkey. Following the failed extradition, Turkey announced that allowing FETÖ to operate freely in Mongolia would be detrimental to Turkish-Mongolian relations, Daily Sabah reports. Bold also added that individual members of FETÖ would not be able to renew their education and employment visas and be asked to leave the country this year. Ankara blames FETO and its leader Fetullah Gulen for a failed coup attempt in Turkey on July 15, 2016.